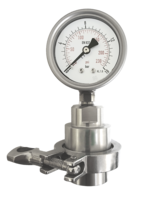 What is an industrial pressure gauge? 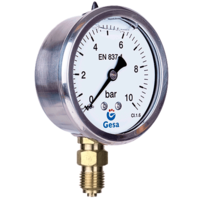 A pressure gauge for industrial use is an instrument that measures the pressure of fluids (both liquids, gases) in a closed circuit. 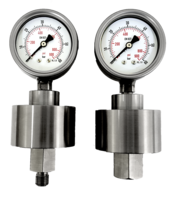 Industrial pressure gauges measure the relative pressure obtained by the following formula: P manometric (relative) = (P absolute-P atmospheric)> 0 Relative pressure scales take their 0 to 1 Atmosphere or 1013 millibars. 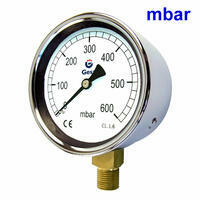 These scales can be expressed in Bars, millibars, Psi or mmHg. 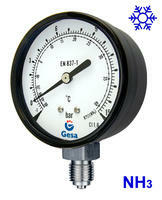 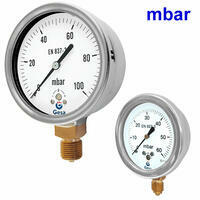 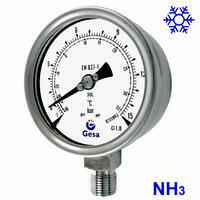 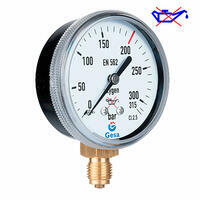 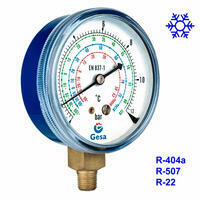 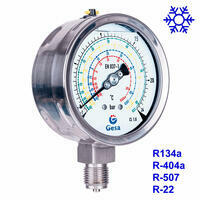 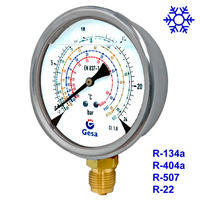 The pressure gauges have an element sensitive to pressure changes. 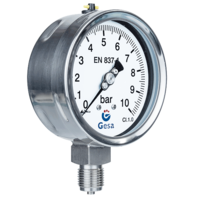 This change is reflected in the scale graduated by a needle attached to this sensor element. 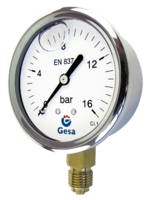 The most common element is the bourdon tube, although the capsule is used if the pressures to be measured are low. 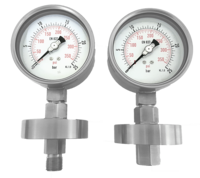 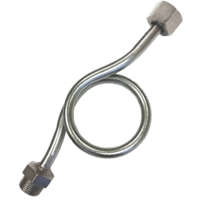 - Bourdon tube pressure gauges: These gauges determine the pressure by means of a "C" or helical tube that deforms according to the pressure of the contained fluid. 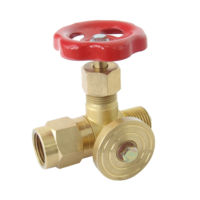 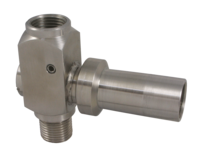 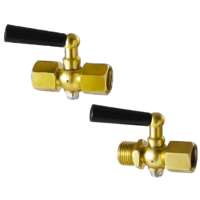 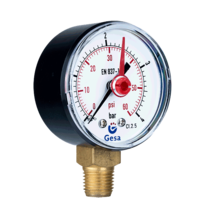 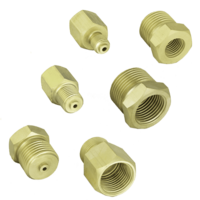 They are the most common pressure gauges since the element can be built for any pressure range, which is why they are used in all types of applications from hydraulics and pneumatics to air conditioning and irrigation. 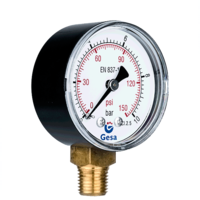 - Capsule pressure gauges or ventometers: The capsule sensor element is capable of measuring very small pressure variations, consists of two circular corrugated sheets welded on its edge forming a small container or capsule. 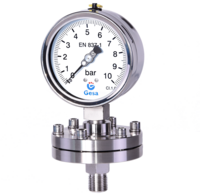 The contained fluid deforms the capsule, this deformation is transmitted to a needle that marks the pressure on a scale usually in millibars. 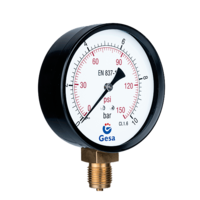 These pressure gauges for low pressures are also known as ventometers and are used in compressors or low pressure systems. 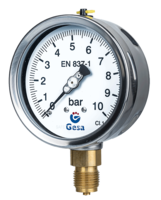 The useful life of a pressure gauge is usually quite long, although it will depend on the type of process fluid that is being measured. 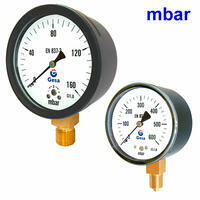 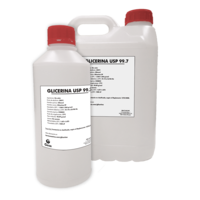 To extend this useful life we ​​can use accessories such as membrane separators, siphons, limiters or cooling towers.